Here we offer some unique tools to make your job easier, the tools include 1" Machinist Dial Indicator with magnetic base, Digital Caliper 6 inch , Magnetic Angle Finder and NV4500 5th gear nut wrench/socket. Our dial indicator and magnetic base kit is essential to proper setup of the ring and pinion back lash measurement, when setting up you differential. Need instructions for setting up differential see our detailed instructions. Order your parts from drivetrain.com and get telephone technical support from experienced technicians. Dial indicator delivers precise readings to one-thousandth (.001) of and inch. Digital Caliper 6 inch, all stainless frame with precision ground jaws. Use this tool in differential setup as well as measurement of Shims. Your cost $19.50 plus S&H. 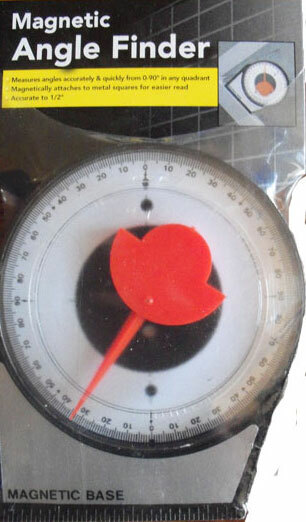 Angle Finder Magnetic, Use this tool to set differential angles as well as checking driveline angles. Your Cost $12.89 plus S&H. wrench arrives ready and able. Design includes a provision for a ½” drive breaker-bar for removal and a torque wrench to install. the torque specs this high it absolutely must be burly to stand up to repeated use. super toughsteel, this will be in your tool box for many years! shaft enabling this combo to handle the 2wd & 4wd Allison 1000/2000 series! 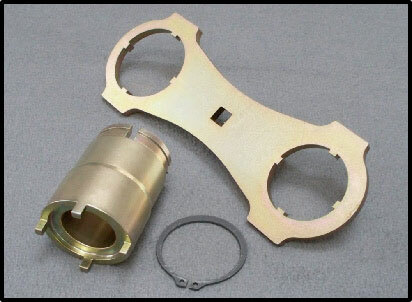 Many GM 4X4’s use a vibration dampener, (mainly diesels) requiring the use of a hollow socket to reach in to access the nut. For the do it yourself (DIY) we offer a technical support to assist you it getting the job done right.